Unbelievable but true: the famous Halloween pumpkin started to go out of fashion. Yes, we do not believe it until we saw the familiar sinister smirk on a pineapple. Halloween pumpkin, also known as the jack-o'-lantern is perhaps the most important attribute of a fun-filled holiday. 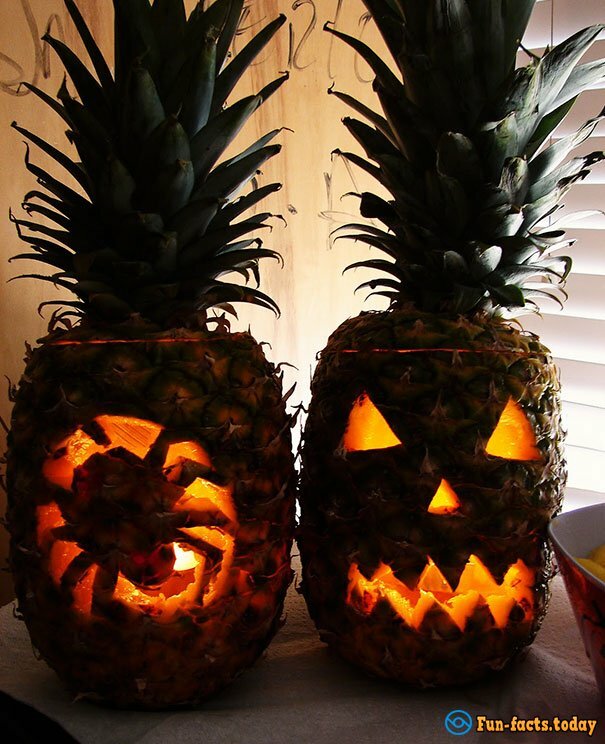 And what was our surprise when we saw instead of favorite pumpkin pictures of pineapples lamps! But we must admit that they look just perfectly and not a bit less sinister than their predecessor's pumpkin. The creators and distributors of pineapple lamps say that the idea is also very practical: because pineapple flesh should be separated from the skin. 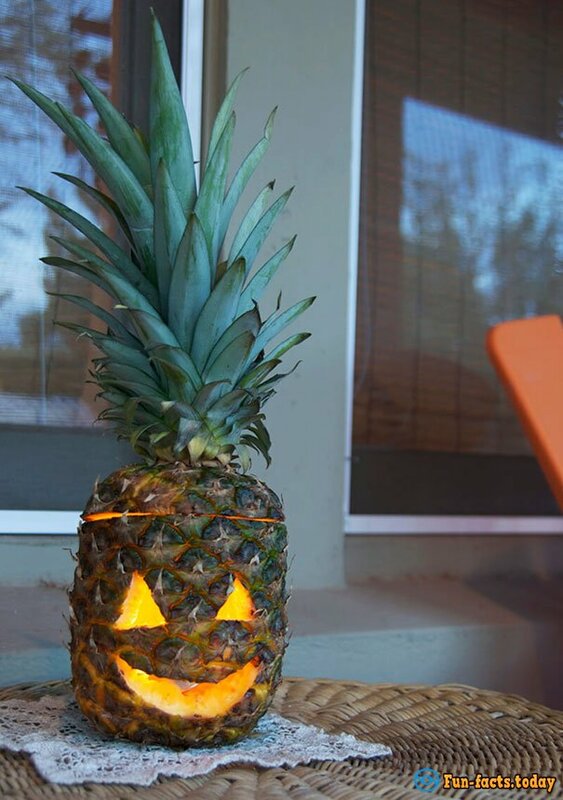 Also, unlike the pumpkin, pineapple lamps can boast not only with a muzzle, but also wild vegetation on the head. And, yes, it looks great with a burning candle inside.